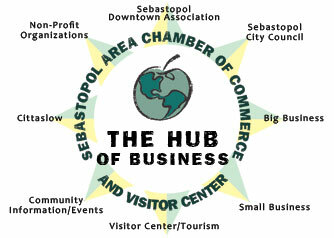 The Sebastopol Area Chamber of Commerce is a membership organization support community and economic vitality through opportunities to connect, learn and engage. The Sebastopol Area Chamber of Commerce is the business membership organization that takes a serious role in networking, economic vitality, local promotion and advocacy. We are the hub of the business community.